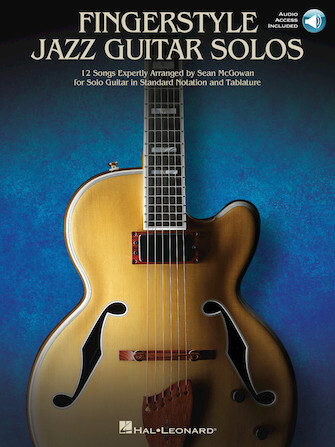 A dozen jazz classics have been expertly arranged by renowned fingerstyle jazz guitarist Sean McGowan for solo guitar in standard notation and tab. Sean also recorded full demonstration tracks and wrote performance notes for each song in this collection. Includes: All Blues • Confirmation • Get Me to the Church on Time • I'm Old Fashioned • My Romance • On the Street Where You Live • Polka Dots and Moonbeams • Prelude to a Kiss • Ruby, My Dear • Stolen Moments • There Will Never Be Another You • Where or When.